This is the story of Yamaha’s acoustic guitar history. Yamaha didn’t start out making guitars – but they do it very well now. The history of Yamaha begins many years prior to the initial production of their innovative, affordable, high quality guitars. The company was established in 1887 in the island country of Japan but despite the company’s current reputation for high quality guitars, in the early years of its history they did not specialize in the production of guitars. Originally, Yamaha focused primarily on the construction and repair of pianos and organs, which were sold only to consumers within Japan. 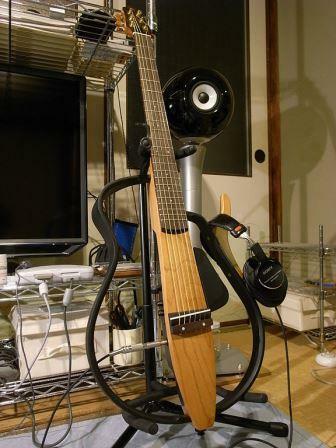 It was not until the 1940s that Yamaha began producing the first of their innovative guitars. Even at this point, the company would not release their guitars to the American and other foreign markets until the mid-1960s. Now the Yamaha Corporation produces a large number of varied products from musical instruments to furniture to motorbikes, sporting goods and even industrial robots! But this article is focused on their guitars, of course ? Prior to the 1940s, Yamaha guitars essentially did not exist. This is because it was not until the 1940s that the company began considering and producing the first of its guitars. It was during this era of Yamaha’s acoustic guitar history that the company proceeded with founding a factory in Hamamatsu, Japan. However, despite this huge stride forward in the company’s history, these guitars would continue to be available for a Japanese audience only throughout the 1950s and much of the 1960s. It was during the period of the 1960s that Yamaha acoustic guitar’s history would be changed forever. The 1960s marked the decade in which the company would no longer offer its innovative, high quality, and unique guitars to just the Japanese market, but the American and other foreign markets as well. The inspiration to expand the audience for their guitars was the result of the remarkable increase in demand for quality guitars in the United States and other countries. What sparked such an increase in demand among foreign consumers? Amongst other things, it’s said that the enormous popularity of The Beatles played a significant role. At one point John Lennon ordered a customized guitar from Yamaha: This further boosted the demand for their guitars. It was partly this deep infatuation with the band among consumers, that helped to open the way for Yamaha to enter the American and other foreign markets. This was the Japan based company’s chance to greatly expand their operations and introduce the foreign markets to their products. It was during the mid-1960s that the American markets began supplying their stores with Yamaha guitars. The introduction of Yamaha guitars in the US proved to be beneficial for stores, customers, and the company alike. 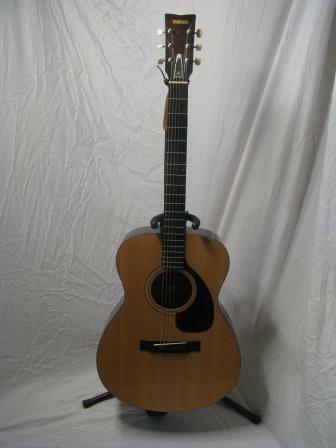 This is because in addition to the company’s reputation for innovative and high-quality guitars, Yamaha acoustic guitars are well known for being relatively affordable in comparison to other guitar producing companies. Upon their debut in the American markets, Yamaha guitars were sold from approximately $50 to $110 (this would be approximately $350 to $850 in todays dollars). After the Japan based company’s debut in the foreign markets, Yamaha continued to have marked success in both the Japanese and foreign markets. This success was propelled by two factors. The first factor lies deep within the company’s belief that it is crucial to produce cutting-edge, quality instruments for a reasonably affordable price. Throughout its history the company has been dedicated to providing novices and professionals with the high-quality guitars, without being too much of a hit on their wallets. The second factor that contributed greatly to the company’s success, was the use of their products by high profile individuals. The use of their products by these highly popular individuals, such as John Lennon, Bob Marley, Mick Jones of the band Foreigner, and many, many others, further inspired the increase in consumer demand and sales in foreign and American markets. While these two essential concepts were key to the success of Yamaha acoustic guitars, an additional element to consider when discussing the success of Yamaha is the wide variety of products that have been and continue to be offered. Since the production of their first guitar in the early 1940s, Yamaha has greatly expanded the types of guitar that they offer. Over the years, Yamaha has expanded their inventory from acoustic guitars, to classical, electric and bass guitars. This further increased their sales, despite some struggles with a few models, as the products spoke to an ever-greater number of individuals. Furthermore, the company has always been flexible and more than willing to improve their products regardless of the potential risks involved. At times, this involved the collaboration between the company and other guitar designers. At other times, the company adjusted their product to customer request. Yet, in other instances, the company took a chance and produced a product that was eccentric or of their own design (none more obvious than the SLG100S – see image above). Some models were inspired by famous guitarists and other individuals. Of course, from time to time, the company would take special request from some individuals. While each of the discussed components have been critical to the company’s success individually, it is the combined effects of each component that have brought continued success to Yamaha. But undoubtedly their quality to price ratio, or value-for-money if you will, is the greatest asset of their acoustic guitars and the stand out factor that sees so many people fall in love with their instruments. I’m sure the past fifty years of success have been one hell of a ride for Yamaha guitars. Through the ups and downs that any company experiences, to the incredible success that the company has experienced. As long as Yamaha continue to uphold their core belief of providing consumers with innovative, high quality, and reliable guitars for a relatively low cost, the company will thrive. Yamaha acoustic guitars have been solid and reliable and there’s nothing to indicate that they will do anything radical in the near future, whilst this formula is working so well – and nor should they. In my opinion, they fill an important space in the market.